Want to know why EXO is loved worldwide? This performance is a nice reminder of how loved and impactful they are all over the world. BTS has always been an incredibly talented and unique group. 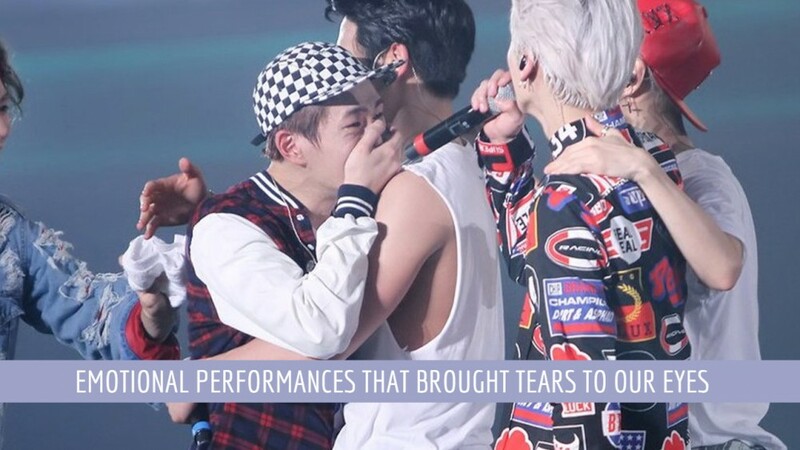 They had their fair share of struggles and difficulties but they never fail to remember their fans and their journey together. Check out this tear-jerking�performance of "Born Singer." Fans went on a journey with these girls ever since 'Produce 101.' It all went by so fast and the girls put on a memorable performance during their last stage together. When BIGBANG had to perform one of their most moving songs without TOP, they kept his voice in the backtrack without having someone cover it and had an empty spotlight on stage for him during his parts. It was so sad, but so moving.